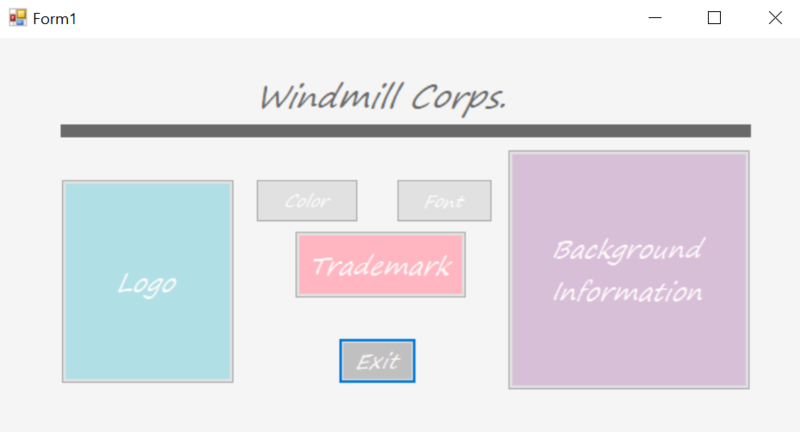 This webpage is for my Computer Science 1 Class. 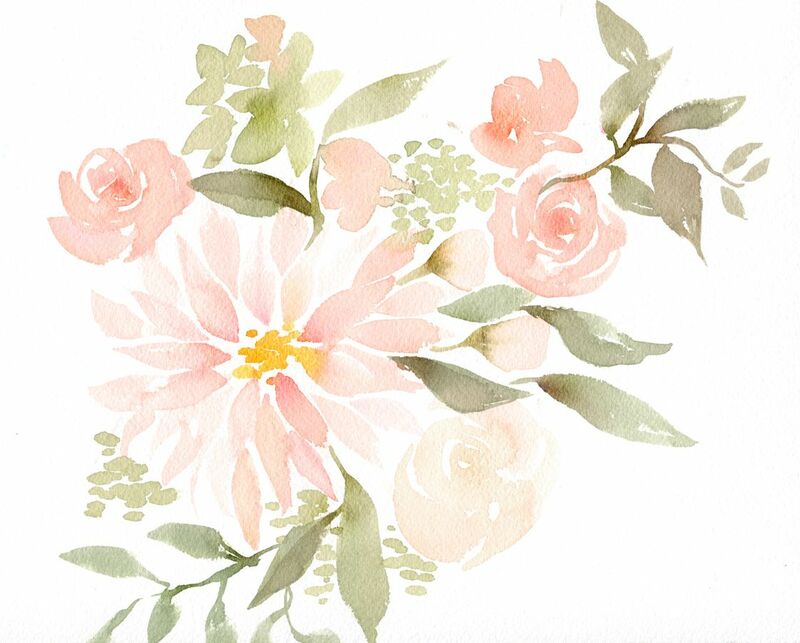 These are my first semester projects. 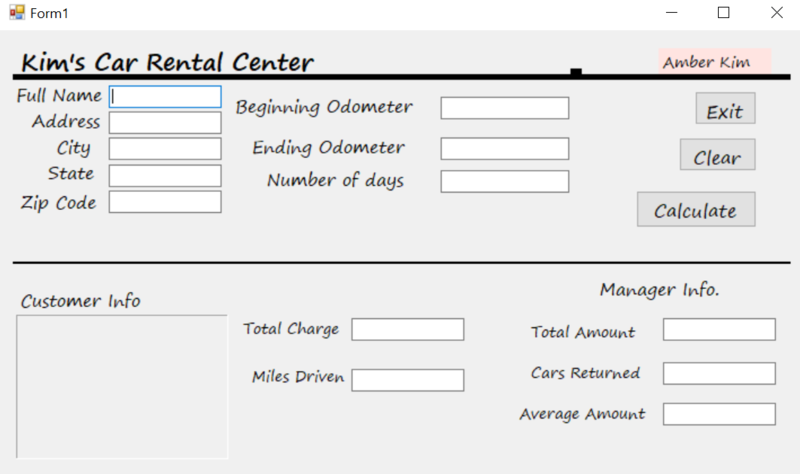 This program tells the customer what their total is based on what car and extras they want. 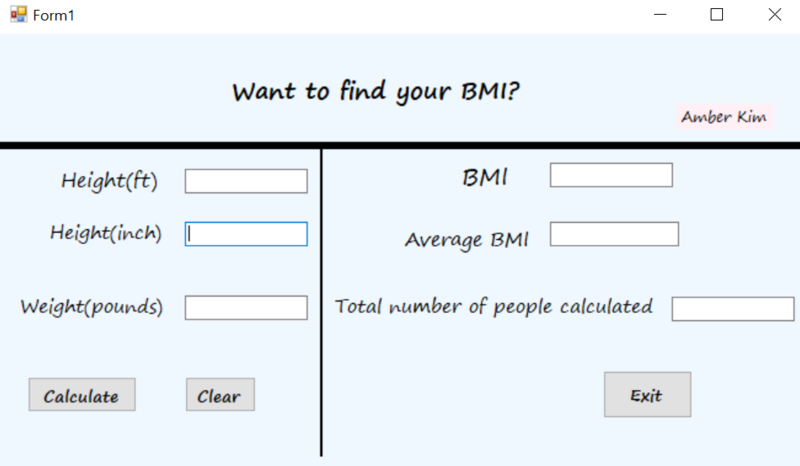 With this program, the Body Mass Index is calculated based off of the info in textboxes. 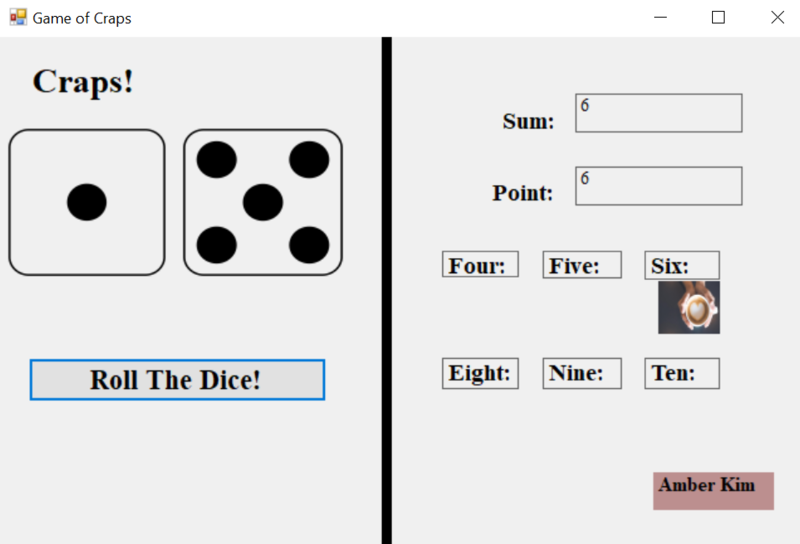 In this program, you roll the dice and find the number of times you rolled, the sum of the two dices, and the dice probabilities. 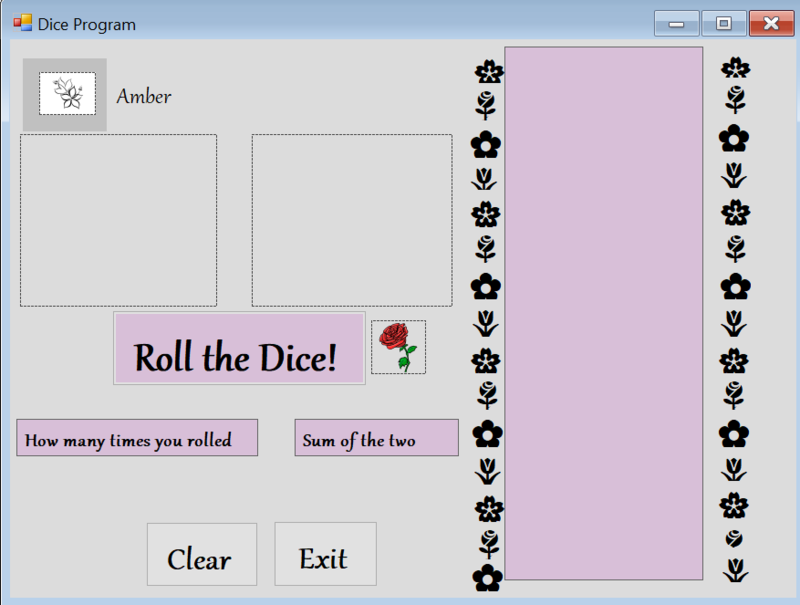 In this program, you use the sum of the dice to output the corresponding picture. 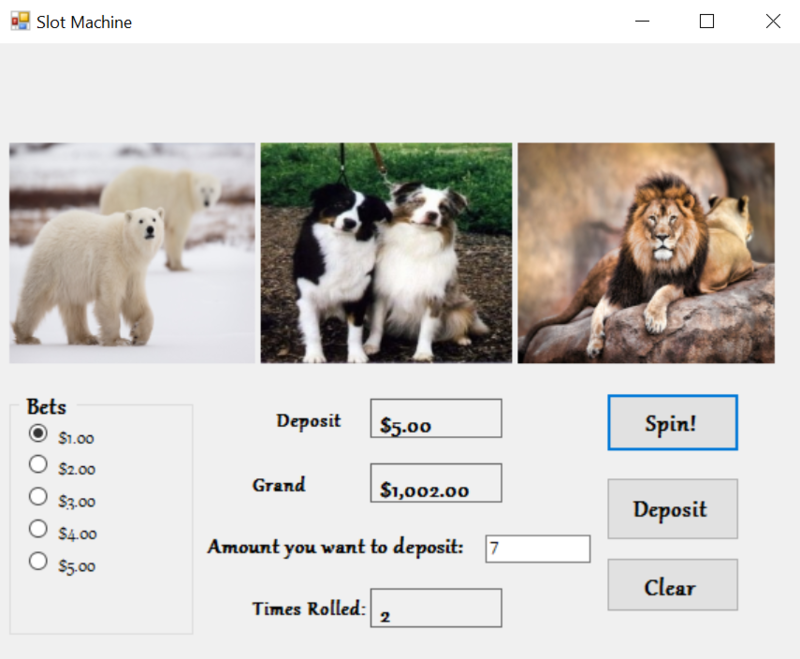 In this program, the user deposits their money until they run out and don't have enough to spin. 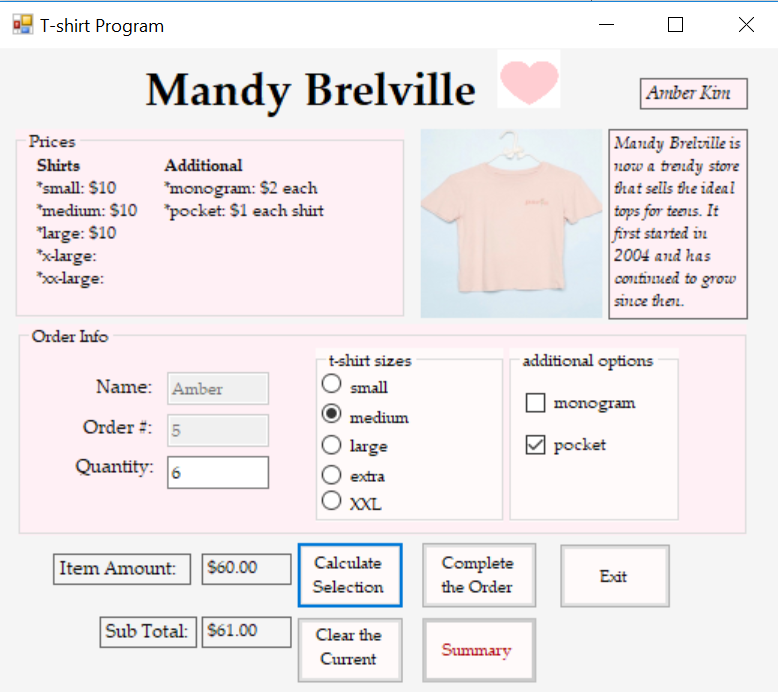 In this program, the customer chooses their shirt size and additional options and quantity. 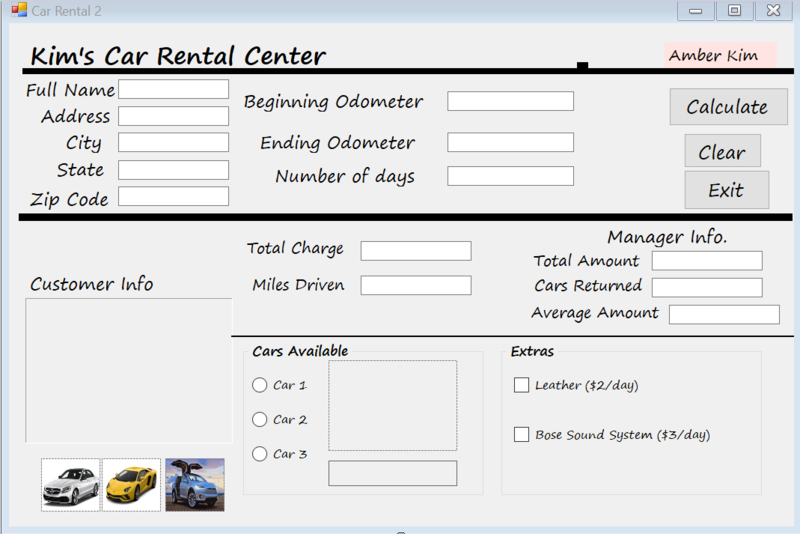 Then the total is outputted, and there's other options on the btns. 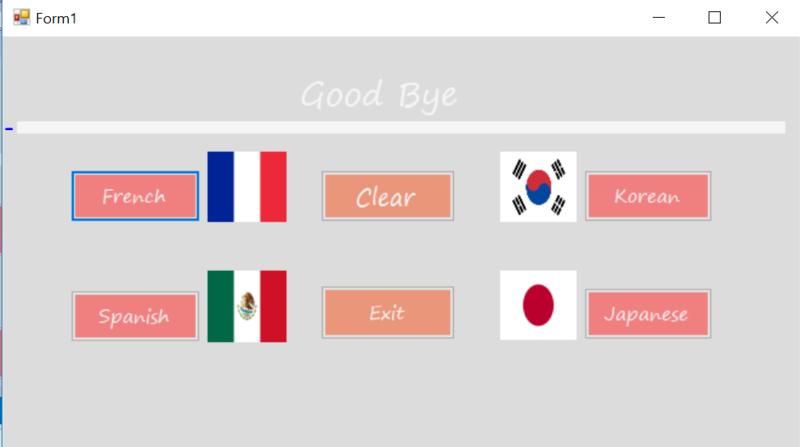 In this program, the image is made bigger if chosen; the past scores for the teams are shown as well as your satisfaction with the results. 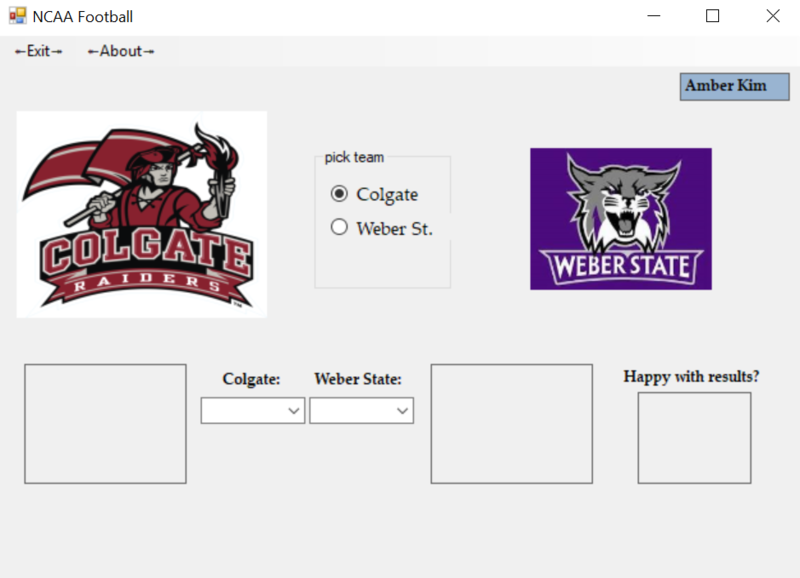 When the tool strip menu itesms are clicked for the colleges, its corresponding info page pops up. 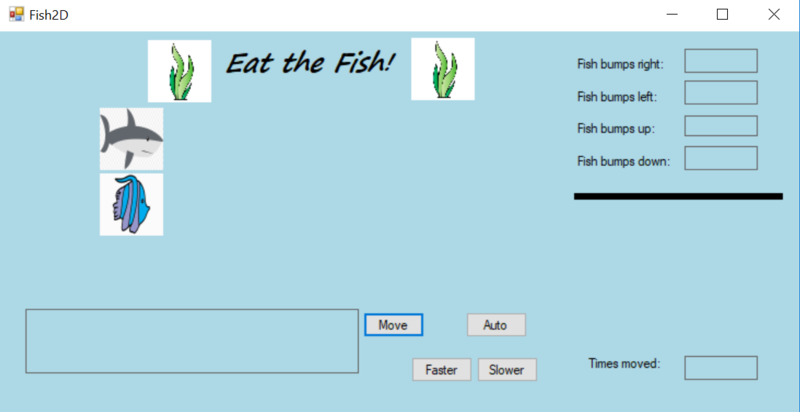 This program has random numbers that generate whether the fish moves right or left. When a fish moves one way, it's corresponding image should also appear. Also, it keeps track of how many times it moves, and how many times it bumpes left or right. 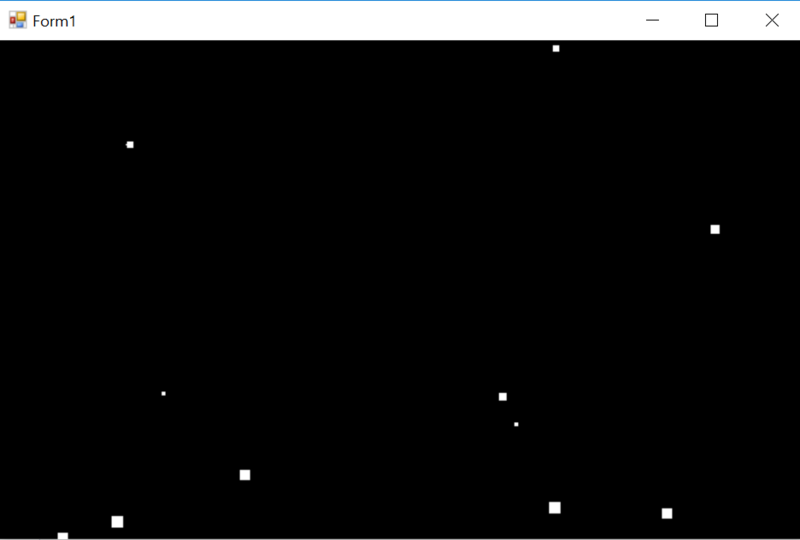 This program moves left or right depending on the random number. If the shark ends up going in the same one as the fish, then the fish gets eaten. You can also change the time and having it auto. 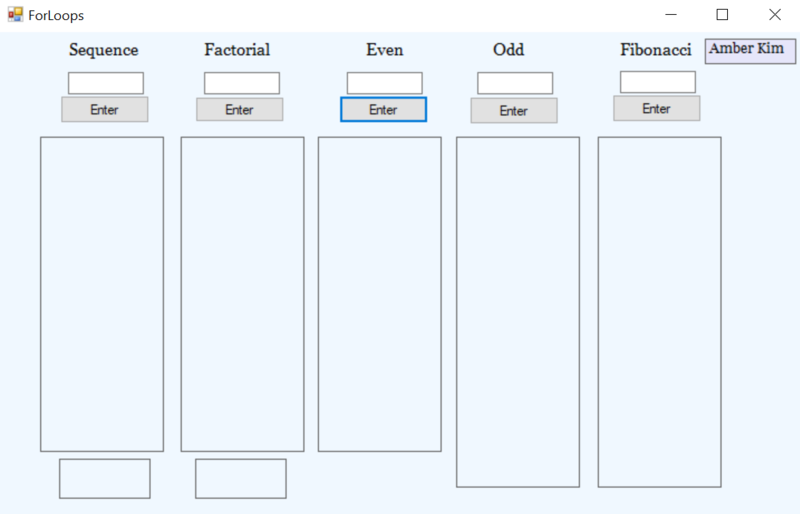 This program generates numbers that corresponds with the type of sequence. Then adds or multiplies for the total sum. 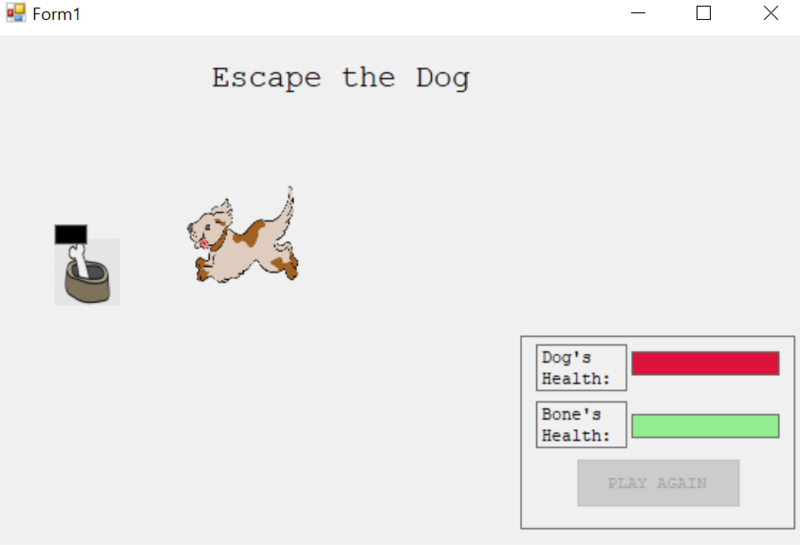 With this program, the chaser chases the character and shoots them to not die. The "stars" give the illusion that we're moving through the galaxy. 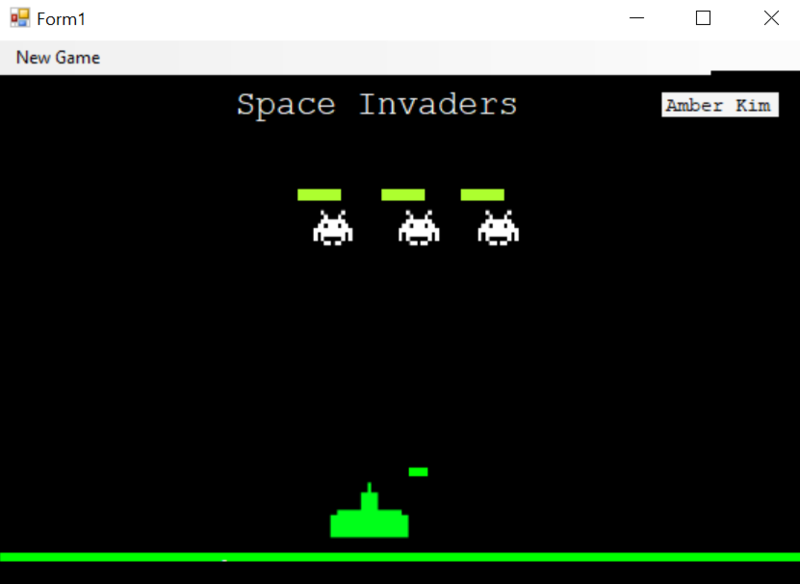 WIth this program, the spaceship has to shoot all of the spacinvaders before they reach the spaceship.